Leavenworth, KS. – A general who once protested Iraq war handling during the Bush administration says the jury is still out on Obama team foreign policy. Retired Marine Corps General Anthony Zinni made his points at Fort Leavenworth to an audience including officers from other countries. 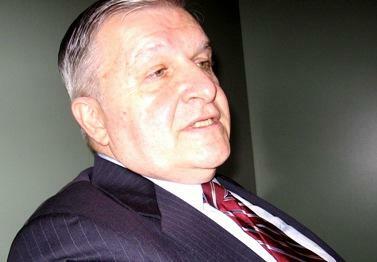 He said the premise is good, to internationalize strategy in Afghanistan and Pakistan. Zinni chided NATO allies, countries from which many of the students hailed and the general knew it. KCUR's Dan Verbeck was there. Kansas City, MO – Kansas City emergency responders are looking forward to a new communication system that will let fire, police and ambulance crews talk to each other, and eventually, with units from other neighboring cities. KCUR's Steve Bell reports. When every second counts, having to have a dispatcher serve as intermediary can be frustrating and time consuming. But that method will end when new interoperable radios are installed in all Kansas City, Missouri emergency response vehicles. Kansas City, MO – The battle over the volunteer duty of the wife of Kansas City's mayor is on again. The city council passed a revision of the volunteer ordinance that sponsor Ed Ford said addressed the points raised by a judge that declared the original ordinance unconstitutional last week. Specifically, Ford's changes expand the limits on family members volunteering to include appointed officials and city employees, and define the "regular volunteer work" the first ordinance prohibited as anything over ten hours per month. Photo courtesy of Lamers Trolleys. Kansas City, MO – The proposal for rubber-tired trolleys transporting people through Kansas City's various entertainment districts from the River Market to Waldo is back, in a scaled-down version. The original plan involved a $400,000 loan from the city and daytime and evening operation. But the contractor had concerns about profitability, so the new plan is for a $200,000 loan and nighttime operation only. Kansas City, MO – The White House announced more than $2.4 billion in grants for batteries and electric vehicles today. As KCUR's Maria Carter reports, some of that money is headed to Kansas City. KCUR photo by Dan Verbeck. Kansas City, Mo. – After months of being beset from many sides, Kansas City's mayor takes home a win. A Jackson County circuit judge finds the city council was wrong to ban his wife from working in his office. Mark Funkhouser is successful, arguing an ordinance barring his wife and daughter from volunteering in city hall is unconstitutional. Judge Justine Del Muro ruled the ordinance was vague and it's authors were irrational. KCUR's Dan Verbeck reports. 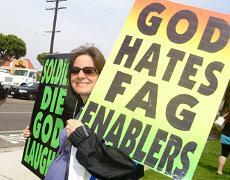 Photo from the Westboro Baptist Church web site. Kansas City, MO – A threat of a lawsuit made by the Fred Phelps family and their Westboro Baptist Church was met with defiance by a city council committee yesterday, but its members are calling it a "lose-lose situation." The Phelps family sends an ultimatum: repeal the city's ordinance prohibiting picketing at funerals or face a first amendment lawsuit - a suit city legal advisors say the city would likely lose. A loss would invalidate the ordinance and force the city to pay the Phelps's court costs - upwards of $30,000. 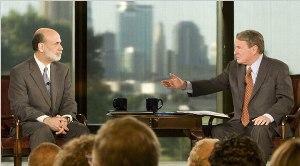 Kansas City, MO – Federal Reserve Chairman Ben Bernanke was in Kansas City, Mo., Sunday, for a town hall-style meeting. The discussion airs in three parts beginning Monday on PBS' The NewsHour with Jim Lehrer. Inside the Federal Reserve bank of Kansas City, Bernanke sat down to chat with Lehrer, and some local residents that his show had chosen. Bernanke was asked about Rep. Ron Paul's (R-TX) bill to require the Government Accountability Office, the investigative arm of Congress, to review Fed monetary policy. A report from the Government Accountability Office questions how the Department of Homeland Security determined the safety of six sites for a proposed animal disease research lab. Manhattan, Kan., was selected as the site for the National Bio and Agro-Defense Facility, or NBAF. A draft report argues DHS used poor techniques to determine how diseases would spread if they were accidentally released. Kansas City, MO – The Kansas City city council has settled the Ruth Bates bias suit against the City and Mayor Funkhouser out of court... ending months of controversy and averting a trial that could have started next week. 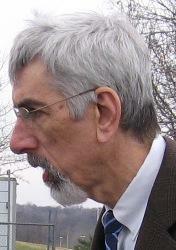 Mayor Mark Funkhouser expressed disappointment. He said he was ready to go to trial and confident he would have been vindicated, but he had been focusing on his agenda, and "now, we can put this behind us and we can do that." Kansas City, MO – U.S. Labor Secretary Hilda Solis stopped in Kansas City today, where she announced a new round of grant money for job training programs in the health care industry. KCUR's Elana Gordon has more. Solis says 220 million dollars in stimulus funds are now available for health care training programs. During a visit to KU Medical Center, she said her agency predicts the health industry will be one of the main employers in the U.S. over the next few years. Kansas City, MO – With the trial set to start July 27, Kansas City's city council set the wheels in motion for a possible out-of-court settlement of a discrimination lawsuit against the city and the mayor. Meeting behind closed doors, the council gave the city attorney the go-ahead on attempting negotiations on a lawsuit filed by former mayoral office employee Ruth Bates. 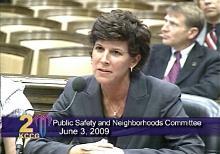 Bates claims she was treated unfairly because of her gender and suffered racial insults from the mayor's wife, Gloria Squitiro. Kansas City, Mo. – Superintendents of the 15 school districts that touch or are engulfed by Kansas City have thrown cold water on Mayor Mark Funkhouser's education agenda. KCUR's Dan Verbeck reports. 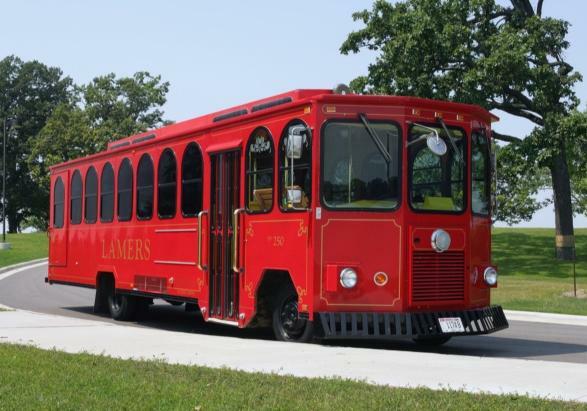 Kansas City, MO – Kansas City Missouri's new bulky-item pickup by appointment only program and a $400,000 loan to provide event and entertainment transit on rubber-tired trolleys came before city council committees Wednesday, with disappointment on both issues. 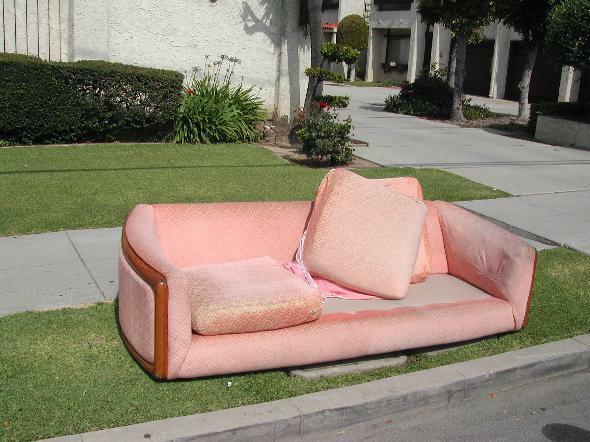 Public works officials told a council committee that it is taking as long as three months for some southland residents to get appointments to have bulky items picked up, but they hope to get everything back to the planned two-month schedule. Kansas City, MO – Light rail activist Clay Chastain won't be back in Kansas City shopping centers circulating petitions this summer, but it doesn't mean he's giving up. Chastain announced Wednesday that he is appealing his lawsuit to overturn the city council's repeal of his light rail plan that voters approved to the state Supreme Court. Kansas City, Missouri – The Missouri Housing Development Commission held a teleconference yesterday at their home office in Kansas City to tighten standards for employees and contractors. But tightening rules could have unintended consequences. One change on the table is restricting current employees from working for with any company that does business with the agency for two years after they leave. Jefferson City, MO – Governor Jay Nixon has vetoed a bill that would have repealed most of Missouri's motorcycle helmet law. Marshall Griffin reports. Motorcycle riders in Missouri still have to wear helmets. A bill that would have allowed them to ride helmet-free if they're at least 21 years old has been vetoed by Governor Jay Nixon. The bill would have still required helmet use on interstate highways. Tom Holloway with the Missouri State Medical Association says he applauds the governor's veto. Kansas City , Mo. – When he's not hosting World War II veterans around the nation's capitol, Dole is neck deep in the health care debate. Senator Dole joins Steve Kraske for a discussion about health care reform, his support for Sam Brownback's campaign for Governor, and his take on the Obama administration so far. 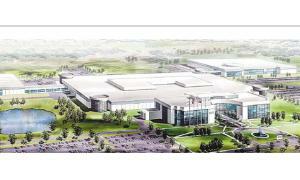 Kansas City, MO – The city council endorsed a defense plant, but held off on a shopping center Thursday. Rezoning and planning activities necessary to relocate the Bannister Road "Honeywell Defense Plant" to a site off Highway 150 in Grandview sailed through the council by a unanimous vote. But the proposed Citadel Plaza Shopping Center development at 63rd and Prospect hit stormy seas. The stumbling block: a proposed $20 million loan from the city that the developer said could move the project to the construction stage within two months. Photo courtesy of KCCG, Channel 2. Kansas City, MO – As Kansas City prepares to sell municipal bonds for the Performing Arts Center parking garage, the city council Finance and Audit Committee got the news Wednesday that one of three companies that rate municipal bonds may be poised to downgrade Kansas City's bond ratings. Kansas City, MO – Missouri Governor Jay Nixon talks with Up to Date host Steve Kraske about the Kansas City Chiefs moving their training camp back to Missouri and the $25 million in tax credits in exchange for improvements at the Truman Sports Complex. They also discuss how the Governor is approaching state budget cuts, look at the details of the Jobs Bill, and how the job of governor is different than Nixon expected it to be. Kansas City, MO – The proposed Citadel Plaza shopping center at 63rd and Prospect did not die with the light rail plan that featured it as the southern terminus. A new lead developer gave a progress report to a city council committee Thursday. Developer Steve Block says the legal and tax questions are out of the way and he has an anchor tenant. Block said he has brought "significant capital" to the project, and as early as next Thursday will ask the council for $20 million worth of backing to purchase land and finalize planning efforts. kcur photo by Tim Lloyd. Overland Park, KS – On a small stage, peering down an embankment to U.S. 69 in Overland Park , Vice President Joseph Biden touted economic recovery via highway renovation. Video frame courtesy of KCCG, Channel 2. Kansas City, MO – Plans for the new regional jail are moving ahead, with the same mental health and social services program that is in place in the Kansas City correctional Institute. A council committee got the good news Wednesday that the Health Care Foundation of Greater Kansas City will continue its $900,000, three year grant that finances the programs. Kansas City, MO – Clay Chastain was back in Kansas City over the weekend, collecting petition signatures in Brookside. And this time he wants to amend the City Charter. KCUR's Steve Bell reports. The activist says he is circulating petitions on two issues. One is the latest revision of his long-running push to create a light rail system in Kansas City. The other would end the right of the city council to repeal voter-approved initiatives - as they did when his light rail plan passed three years ago. Photo courtesy of the City of Kansas City, MO. Kansas City, MO – It was State of the City day at City Hall Thursday. And with the city clerk's office counting recall election petition signatures, Mark Funkhouser's first remarks were on the State of the Mayor. Funkhouser's references to those who would oust him were brief, but emphatic: "Let there be no misunderstanding: I will be giving my third State of the City address at this time next year." Kansas City, MO – Plans for a new memorial honoring the victims of the skywalk collapse at the Hyatt Regency were approved by Kansas City Missouri's Parks and Recreation Board yesterday. The Skywalk Memorial will be a 36-foot landscaped plaza on Hospital Hill, next to Children's Mercy. KCUR's Sylvia Maria Gross has more.